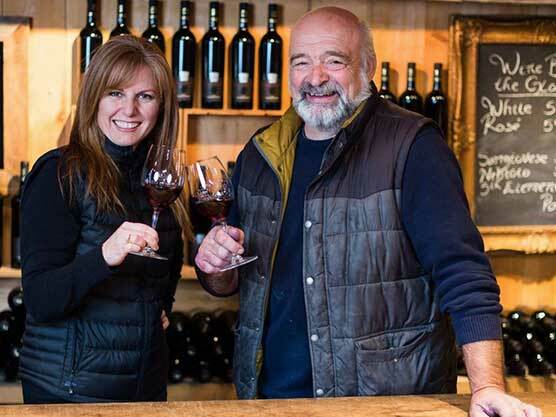 Karlo Estates, a boutique winery in Prince Edward County founded by Sherry Karlo and late husband, Richard Karlo, practice the fine art of County Hospitality. As the Vintner, Sherry applies her palate to curate the portfolio helping earn Karlo the reputation as one of the most innovative wineries where you can expect the unusual. Karlo Estates is the only winery to be named twice on John Szabo and Zoltan Szabo’s Top Ten Cutting Edge Wines in the World list, and is one of Trip Advisor’s top destinations in the County. We also happen to be the world’s first vegan certified winery. Set in an 1805 barn, guests sample a large portfolio of unique, premium, artisanal wines with small food pairings made by one of Canada’s best winemakers. In the summer of 2015, the legendary Derek Barnet, was not only appointed Winemaker at Karlo Estates but “Wine Person of the Year” by the National Capital Sommelier Guild. Derek favours low-tech methods and trusts his instincts, in keeping with the Karlo tradition. We use little intervention with spontaneous ferments and minimal filtration for natural, food friendly wines. With painstaking attention to detail and commitment to excellence, Karlo Estates is dedicated to making wines with character.